Well I am happy to share with you all out here that Shiseido will be coming out with an improved formula for Shiseido White Lucent Intensive Spot Targeting Serum + . I am a big fan of them and has done a review of this old formula serum here when it was first introduced last year. 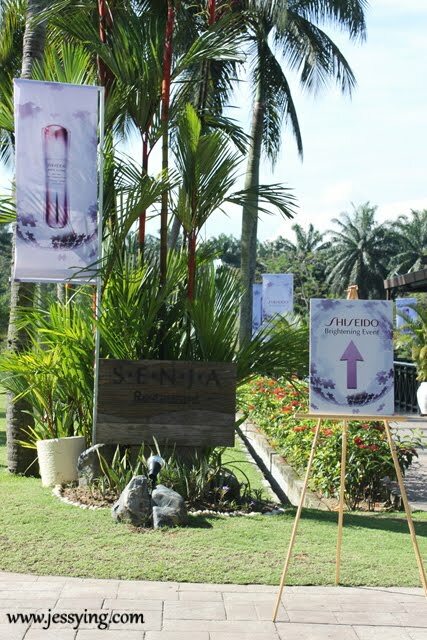 Just recently, Shiseido has just laaunched this Shiseido White Lucent Intensive Spot Targeting Serum + in Malaysia at Saujana Hotel, Subang. 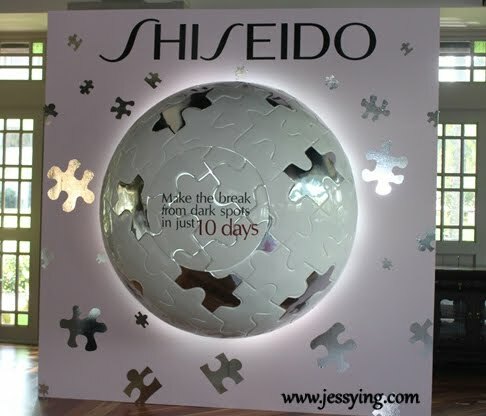 The Shiseido White Lucent Intensive Spot Targeting Serum + promises to make the break from dark spots in just 10 days! This Shiseido White Lucent Intensive Spot Targeting Serum + was inspired by laser technology that targets and removes persistent spots, Shiseido has found newest technology that first targets stubborn spots, and then crushes the roots of their pigmented appearance. Melanin pigment that has crushed to fine particles is then pushed up to the skin surface. 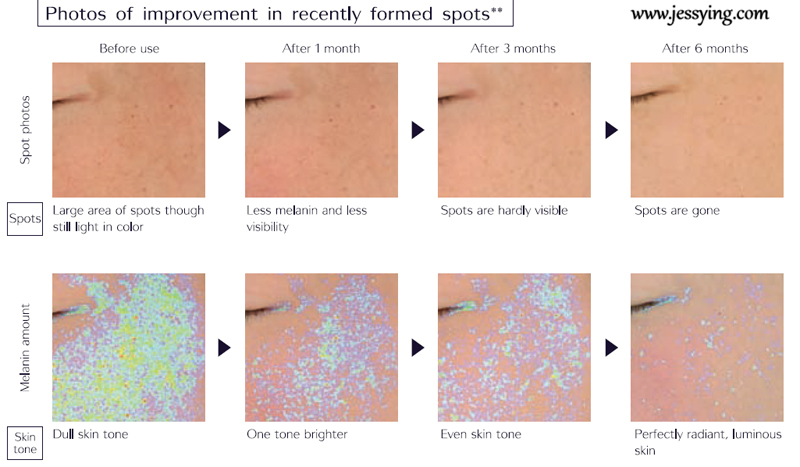 By promoting the melanin's mobilization up and out, the appearance of stubborn spots dramatically improves. This latest technology is call the Melano Sensor System+ is an exclusive technology for spot-less, even-toned and perfectly radiant skin that glows from within. - m-Tranexamic Acid targets the excess condition of persistent spots. - 4MSK helps diminish the activity of enzyme tyrosinase. Step 3: Reduce melanin production- Multi-Target Vitamin C reduces its volume. - MelanoCrush Energizer targets trouble spots and crushes melanin. 4MSK regulates cell turnover. Darkened melanin is smoothly removed. Shiseido White Lucent Intensive Spot Targeting Serum + has the same design bottle like the old serum. My review : I have been using Shiseido White Lucent Intensive Spot Targeting Serum + for few weeks and I found that the new improved serum absorb better than the old serum. Because of the watery texture I only need to use 1 pump for my whole face. It really like this serum because it gives better hydration and keep my skin supple until the next morning when I woke up even though I am sleeping in air-condition room. However I have not see major changes for my stubborn dark spots yet as I just started trying this serum a while ago and I do not except magic to happen but I hope to see it is lighter soon! Ah so far I am loving it ! Will keep you guys updated after I finish this bottle ! At this moment, Shiseido White Lucent Intensive Spot Targeting Serum + is not available in the market yet and I am one of the bloggers who will be reviewing this first hand (more update of this review soon). 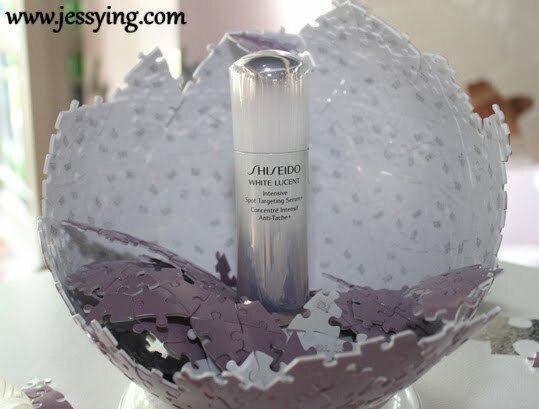 I was told Shiseido White Lucent Intensive Spot Targeting Serum + would be available in next year Spring, i.e March 2012 onwards in worldwide, so do check out this ya! 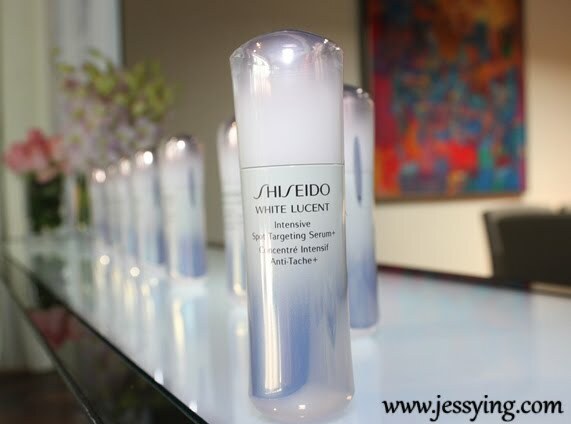 And by 16 January 2012, Shiseido Japan will launched a special website dedicated to Shiseido White Lucent Intensive Spot Targeting Serum + at http://www.my.shiseido.com/s2012/whitelucent/) where there will be reviews & information regarding to this serum. So do check out this website by that time.